Pricing your product and service offers should never be based on mere assumptions. One of the primary objectives in operating a business is to generate a remarkable (or at least sustainable) ROI to keep the company on its feet. For this reason, conducting a cost analysis is extremely important. This will help you determine whether the company is earning or losing funds and resources based on the numbers acquired from the simple analysis. Given how critical a cost analysis can be to the growth and future of the organization, it’s essential for one to be knowledgeable in this sector for you to make credible decisions for the business. 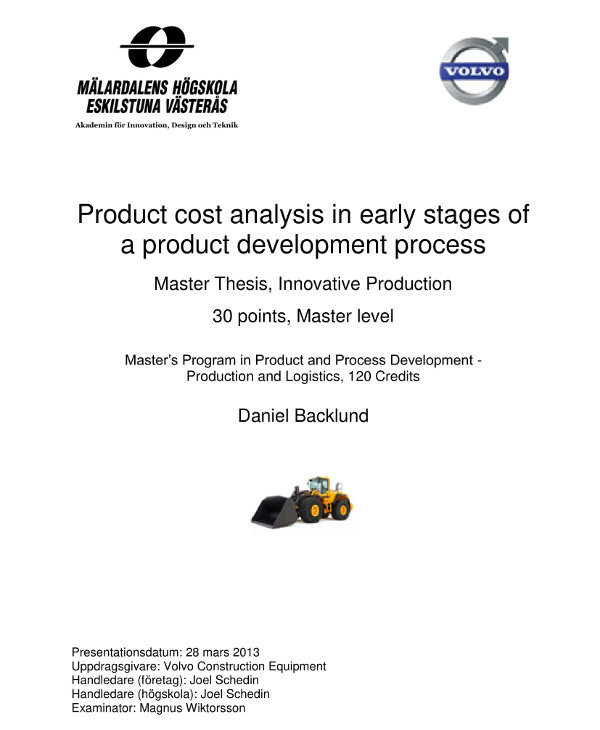 Product cost may be recorded as an inventory asset as well, especially if the product has not yet been sold. But as soon as the product is sold, it is charged to the cost of goods sold, which would then appear as an expense on the income statement. This value of the product would also be accounted for in the company’s financial statements and other accounting documents for shareholders to be informed. Other factors that may be considered as product costs include the taxes imposed by the government along with royalties owed by natural resource extracting companies. 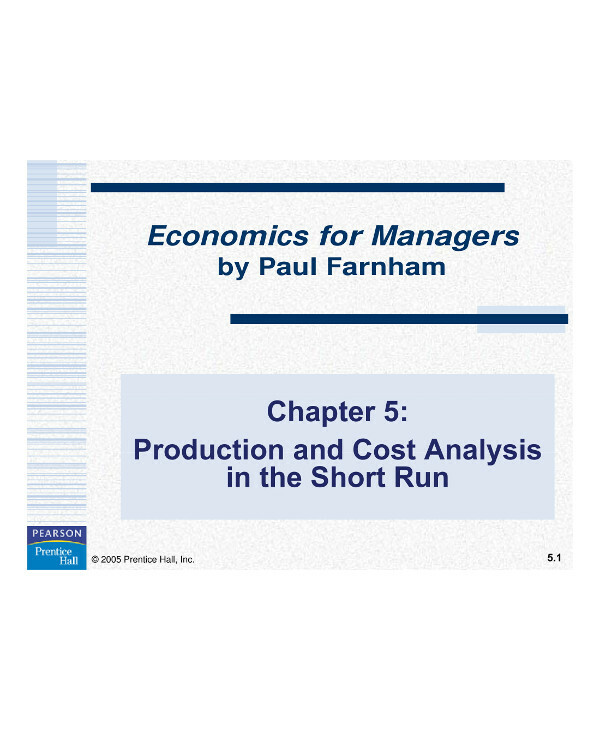 There are many reasons as to why it is vital for a company to perform a cost analysis. 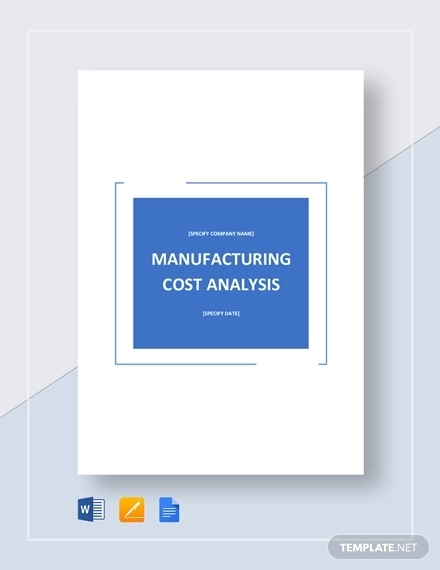 Not only can this help you define and understand primary variable and fixed costs, but it can also help you understand the relevance of other types of costs and their behavior under circumstances and conditions that are relevant to time.You may also see even cost analysis examples. 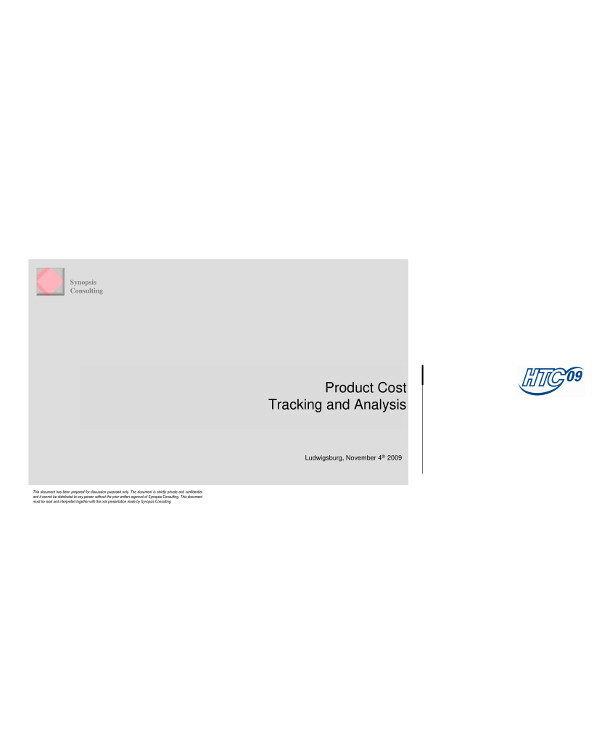 That being said, it’s clear that cost analysis simply involves the comparison of costs. These costs can be controllable or non-controllable, and may be subjected to time periods and constraints. You might also be interested in quantitative analysis. this refers to the costs that have already been incurred and can no longer be changed, whether it’s now or in the future. You can also take a look at earned value analysis. 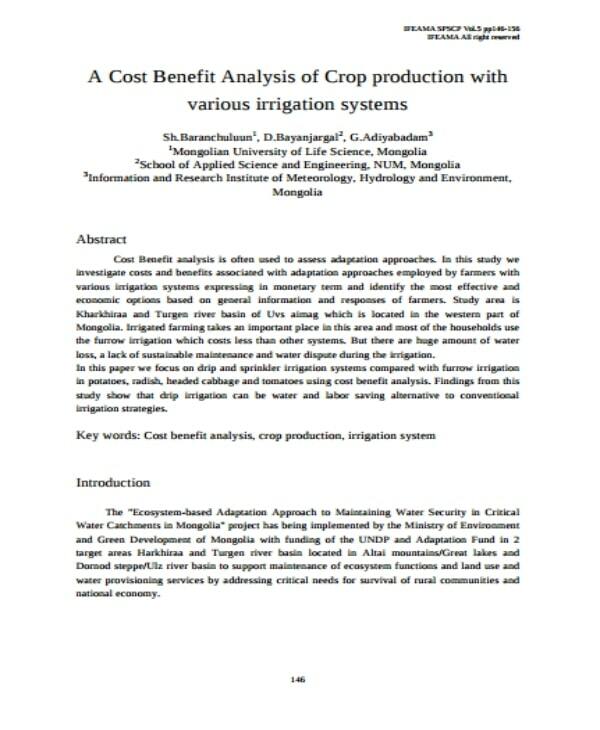 This is a type of cost that varies with the level of output. 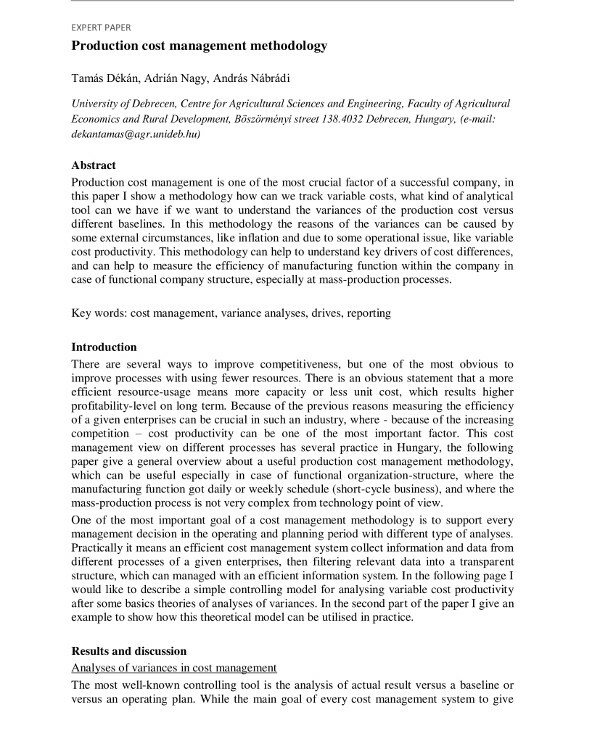 It is a corporate expense that changes in proportion with the production output. For instance, if the production volume increases, so does the variable costs. 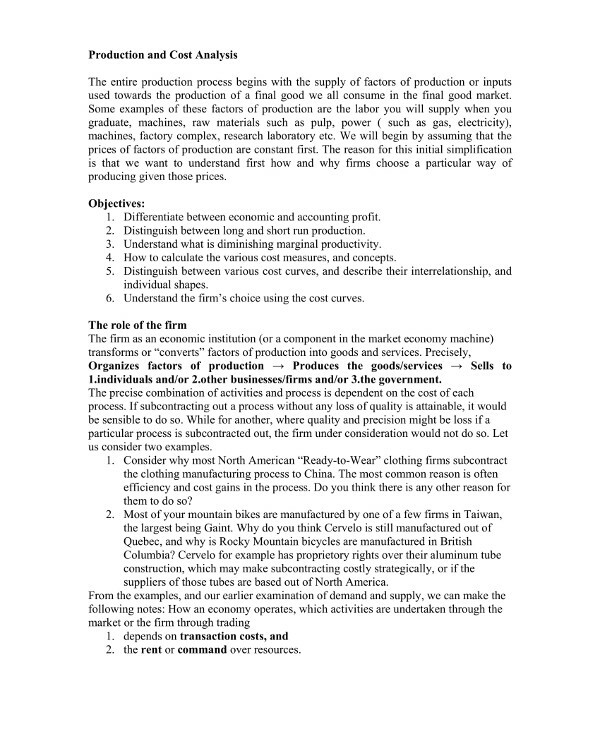 Conversely, if fewer products are produced, then the variable costs involved in the production would consequently decrease as well. You may also see customer profitability analysis. Unlike the variable cost, a fixed cost refers to the expense or cost that does not change with the increase or decrease in the number of items or services being produced or sold. This is usually shouldered by the company and is independent of any business activity. One thing to note about a fixed cost is that it covers a company’s operational expenses and therefore cannot be avoided regardless of the production or sales level. Also check out sales analysis. 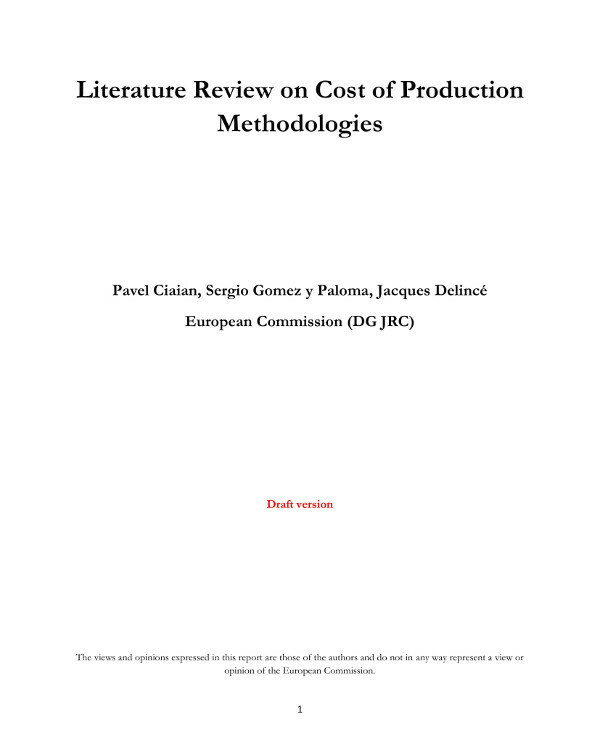 A cost analysis is conducted for a number of reasons. For one, this is done to determine the true (or full) costs of each of the programs being evaluated, specifically the products and/or services offered. 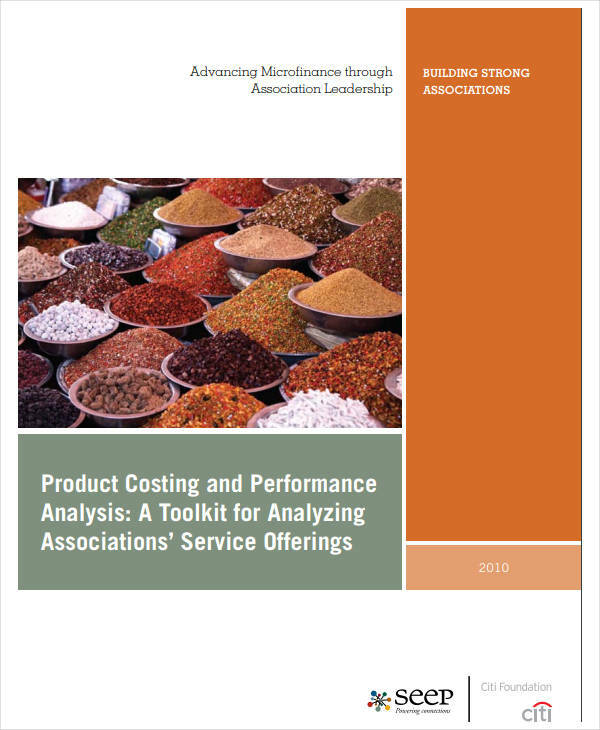 The results gathered from this analysis can help you identify and prioritize cost-saving opportunities for the company to consider, assist in fundraising to shoulder the true costs of delivering the program, price the product or service at a level that will fully cover the costs needed to provide it, and report the fulls costs of the program when claiming government-based reimbursements. Here are more free analysis examples. Apart from what was already mentioned, it’s important that we recognize the purpose of a cost analysis in terms of understanding how each program can contribute to the organization’s social mission and overall financial health. The information gathered from this analysis will make it easier for you to allocate human and financial resources effectively, prioritize core programs that must be secured and maintained even in economically difficult times, point out peripheral and financially unhealthy programs to let go, build smarter growth strategies, and enhance the financial health and mission alignment of the organization in its entirety. Take a look at business systems analysis. Keep in mind that the company can only benefit from these cases if the analysis is done correctly. The accuracy of data acquired during the initial steps of the process plays a crucial role in finalizing the results of the analysis. This is why it’s important to gather a team of qualified individuals who are knowledgeable in the process and the internal aspects of the organization. Though it can be a stressful and daunting procedure to go through, the results can potentially direct your company toward its goal in the best way possible. You might also be interested in product gap analysis. 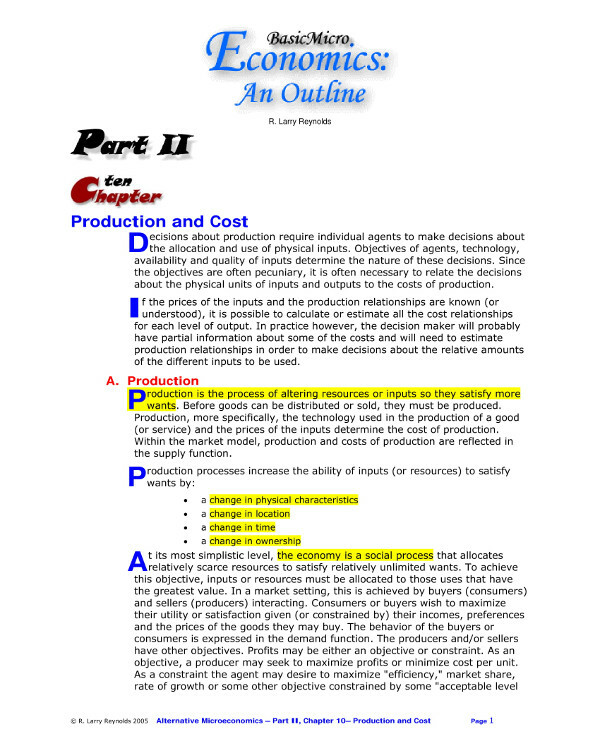 Product costs in managerial accounting refer to the costs necessary to manufacture a given product. By using the actual costing method, you can determine your company’s total product costs and product costs per unit based on the actual costs sustained during a certain period. The knowledge generated from this analysis can help you price your products correctly and budget your organization’s finances. You also might want to take a look at critical analysis examples. These are the materials that your company uses in order to manufacture a product that you can trace directly to an item. Like for instance, the bicycle tires on a specific bicycle, the screws on a table, and the LED screen on a TV. 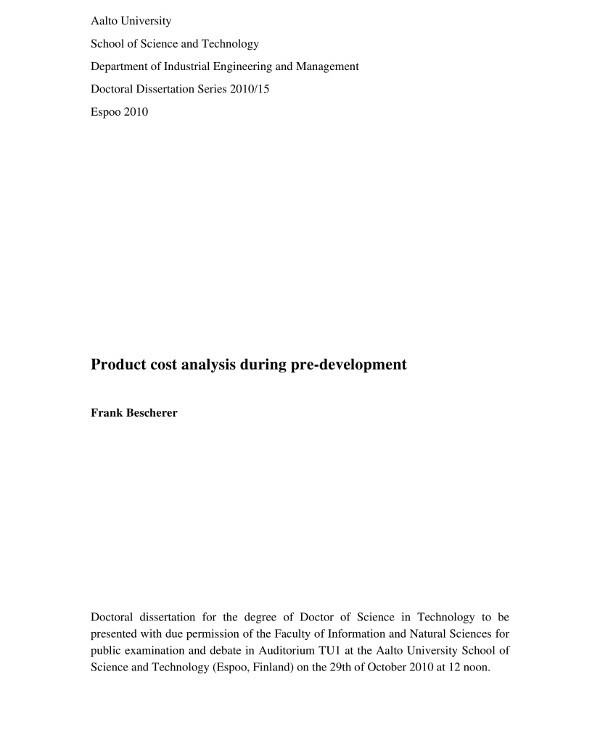 For computation, you would need to add together the costs of the materials used over a particular period to come up with the total costs in direct materials. So if you used $5,000 in bicycle tires alone, and another $5,000 in other bicycle parts within a two-month period, add $5,000 and $5,000 together and you get $10,000 in total direct materials costs. You may also see requirements analysis. Direct labor costs refer to the total costs incurred by the company to employ the workers responsible for directly assembling or manufacturing various product offers. This includes wages, payroll taxes, contributions for life, health, and worker’s compensation insurance, as well as pension contributions. The costs incurred for the month (or whatever period given) will be used to determine your total direct labor costs. You can also check out competitive analysis. Finally, to determine your total product cost for the period, add together your total direct materials costs, your total direct labor costs, and your total manufacturing overhead costs incurred. As for your product cost per unit, identify the number of products that were manufactured during the same period, and divide your total costs by the total product number to get your product cost per unit. You might also be interested in gap analysis. And there you have it! Conducting a cost analysis may be a challenge to accomplish, but with the right team of professionals by your side, you can attain a reliable and well-defined analysis report by the end of the day. 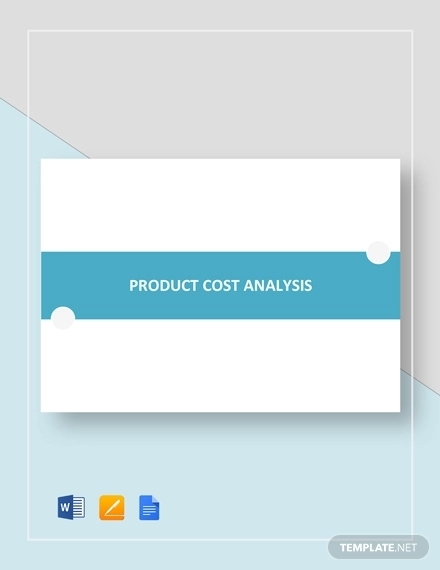 So if you ever find yourself in need of a product cost analysis for your company, you can always refer to the steps above and the examples provided for a smooth and informed procedure.